Pyotr Demianovich Ouspensky was born in Moscow on March 5, 1878.1 His parents were part of Russia's intelligentsia, the educated elite; his mother a painter with an interest in Russian and French literature; his father, a Survey Service officer, fond of music, painting and the idea of the Fourth Dimension. Working as a journalist for newspapers in Moscow and St. Petersburg, he also wrote and self-published a number of books. Believing there existed another reality "beyond the thin film of false reality" that was ordinary life, he searched for "a new or forgotten road"—what he called "the miraculous"—which would "allow a penetration into this unknown reality." He made two journeys to the East, the first in 1908, the second in 1914. He found esoteric schools but realized they were not of "the rational kind" for which he was searching. In April 1915 he met G. I. Gurdjieff, and the following year recruited a group in St. Petersburg and, with reluctance, joined it. His relationship with Gurdjieff was difficult; he left Gurdjieff first in Essentuki the summer of 1919 and then again in Constantinople in August 1921 when he immigrated to England. Finally, in January 1924, Ouspensky broke for good and started his own line of the teaching. In 1941, because of the Second World War, he left for New York where he again formed groups. Ouspensky returned to England in 1947 and held a series of talks in which he disassociated himself from what he had taught. He died on October 2, 1947. As a child Ouspensky showed a precocious intelligence. At the age of three he began to read. When less than four years old, his father died. He, his sister and mother lived with her parents. Not long after, his grandfather, a painter of religious subjects, died. Later in life Ouspensky said, "I was under less imagination and I saw what life was like at a very early stage. I didn't play with toys." At six years of age Ouspensky was reading on an adult level.2 Two books made a strong impression on him—Lermontov's A Hero for Our Time and Turgenev's A Sportsman's Notebook. Lermontov's book is noteworthy since the ideas it expresses—the plasticity of time and questions of predestination, fate and recurrence—are those that would occupy Ouspensky throughout his life. As a young boy Ouspensky disliked school, finding the work dull. At sixteen he discovered Nietzsche, whose idea of eternal recurrence would remain a lifelong interest. He left school the same year. In 1905, at the age of seventeen, his mother died. That year he wrote his only novel (not published until 1915), The Strange Life of Ivan Osokin. Theosophical literature became an interest and he attended meetings of the Russian Theosophical Society. In 1908 Ouspensky and his friend Sherbakov planned a journey to the East in search of an authentic esoteric school; however, shortly before their departure Sherbakov died. Ouspensky travelled alone to Constantinople, Smyrna, Greece, and Egypt without finding a school. Returning to Russia in early 1909, Ouspensky moved to St. Petersburg where he experimented with altering consciousness using hashish and nitrous oxide, but soon realized drugs were a dead end. He began to write Tertium Organum: The Third Canon of Thought, a Key to the Enigmas of the World, which he self-published in 1912. The book was intended to supplement Aristotle's Organon and Francis Bacon's Novum Organum. It brought Ouspensky attention and fame. Still bent on finding an esoteric school, in the winter of 1913 Ouspensky traveled to Ceylon and India. He made contact with a number of schools, but they were, he said, "either of a frankly religious nature, or of a half-religious character, but definitely devotional in tone. "3 These did not interest him. Other schools promised a great deal but demanded, from the beginning, a complete surrender. "It seemed to me," he said, "there ought to be schools of a more rational kind and that a man had the right, up to a certain point, to know where he was going." In November 1914, Ouspensky noticed an ad in a Russian newspaper for a ballet, The Struggle of the Magicians. In April 1915, after giving a lecture in Moscow on "In Search of the Miraculous," Ouspensky was approached by Vladimir Pohl, a composer, and Sergei Dmitrievich Mercourov, a sculptor, who encouraged him to meet the man who was leading a group studying occult investigations and experiments. Ouspensky was not interested. Mercourov persisted and finally a meeting between Ouspensky and George Ivanovitch Gurdjieff was arranged. Ouspensky at once recognized the answers Gurdjieff gave to his questions, his understanding of life, were of a much different and deeper quality than anything he had ever encountered. Ouspensky was particularly impressed with Gurdjieff's command of psychology, an area that he felt was his specialty. "I saw without hesitation," he said, "that in the domain which I knew better than any other and in which I was really able to distinguish the old from the new, the known from the unknown, Gurdjieff knew more than all European science taken as a whole." He met with Gurdjieff every day for a week before he was obligated to return to St. Petersburg. In February 1917 Thomas and Olga de Hartmann joined the group and perhaps Sophia Grigorievna Savitsky who became known as "Mme Ouspensky," though it is not clear if they ever married. That same month civil disorder broke out in Russia and Gurdjieff left for the Caucasus.7 In mid-July 1917 Ouspensky and other students rejoined Gurdjieff in Essentuki. Working intensively, Gurdjieff laid out the entire teaching, revealing the links, connections, and direction of the teaching along with the origin of the ideas. The work there lasted for six weeks. Some event happened that prompted Gurdjieff to announce he was disbanding the group and ending all work. The announcement's apparent irrationality shocked Ouspensky. He reacted to Gurdjieff's decision by internally disagreeing with him, separating Gurdjieff the man from the ideas of the Work.8 This marked the beginning of many such reactions, identifications and separations. Though he would join Gurdjieff again in Essentuki, he would continue on to Constantinople after Essentuki was liberated in January of 1919. In the spring of 1920 Mrs. Winifred Beaumont offered Ouspensky a drawing room in Constantinople in which to hold lectures. There Ouspensky met twenty-three-year-old J. G. Bennett, the much older Mrs. Beaumont's young lover. Ouspensky's lectures created interest and he began forming a group of pupils. On July 7, 1920, Gurdjieff and his followers arrived in Constantinople. Ouspensky decided to work again with Gurdjieff and turned over his pupils to Gurdjieff. At this time Ouspensky gave lectures at Gurdjieff's Institute in Constantinople. In the spring of 1921 Ouspensky noticed that Gurdjieff seemed to be going out of his way to provoke quarrels and misunderstandings. Ouspensky was alarmed by Gurdjieff's behavior and began to think of leaving. His opportunity came in May 1921 when Ouspensky received a telegram from Lady Rothermere. Impressed with Tertium Organum, she offered to pay all his expenses if he would come to London. During this time Ouspensky told Gurdjieff of his idea to write a book giving Gurdjieff's St. Petersburg lectures with his own commentaries. Gurdjieff agreed to the idea and authorized the publication. In August Gurdjieff saw that conditions were not right in Constantinople, and he left the city with his entourage. Among those were Mme Ouspensky and her family. She had chosen Gurdjieff over Ouspensky as her teacher. During the same month Ouspensky departed Constantinople for London. Ouspensky was well received in London and was given a meeting place in Lady Rothermere's studio. A. R. Orage, a former Theosophist whom Ouspensky had previously met in London on his return from India, also helped to recruit pupils for Ouspensky's group and introduced him to members of his psychosynthesis group. By 1938 Ouspensky had delegated much of the routine teaching to others. In April 1938 he formed the Historico-Psychological Society. Ouspensky was the "Official Lecturer." On the Society's committee were Ouspensky and Mme Ouspensky, Lord John Pentland, Dr. Kenneth Walker, and Dr. Francis Roles. Ouspensky began drafting rules to be adhered to by the Society members. He thought that these prohibitive rules would promote consciousness: pupils were never to mention Gurdjieff, never address each other by their Christian names, never speak together around strangers, never speak to anyone who had left the groups, etc. In his last days, Ouspensky was driven by his student Rodney Collin-Smith for exhausting car rides to impress familiar locations on his memory. Ouspensky would also push his body, making himself stay up long hours. On October 2, 1947, Ouspensky died at Lyne Place in the arms of Rodney Collin-Smith. He is buried in the courtyard of Lyne Church. 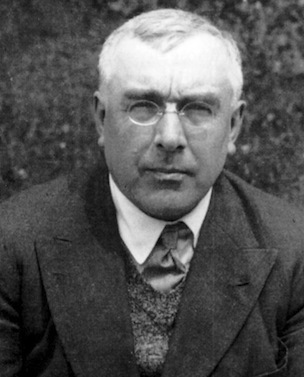 Ouspensky will be chiefly remembered as the author of In Search of the Miraculous, published posthumously in 1949 and later in several foreign languages under the title Fragments of an Unknown Teaching. This work is by far the most lucid account available of the Russian period of Gurdjieff's teaching, and it has been a principal cause of the growing influence of Gurdjieff's ideas.25 His other books include: The Psychology of Man's Possible Evolution, A New Model of the Universe, Tertium Organum, The Strange Life of Ivan Osokin, and The Symbolism of the Tarot. A posthumous record of his talks and answers to questions were published with the titles The Fourth Way, A Record of Meetings, A Further Record, and Conscience. His life has been the subject of many books as well, including The Strange Life of P. D. Ouspensky by Colin Wilson; Don't Forget: P. D. Ouspensky's Life of Self-remembering by Bob Hunter and Andrew Phillip Smith; P. D. Ouspensky: Pioneer of the Fourth Way by Bob Hunter; and Ouspensky: The Unsung Genius by J. H. Reyner. His relationship with Gurdjieff is examined in Struggle of the Magicians: Exploring the Teacher-Student Relationship by William Patrick Patterson. 1. William Patrick Patterson, Struggle of the Magicians (Fairfax, CA: Arete Communications, 1996), 2. 18. C. S. Nott, Journeys Through This World (New York: Samuel Weiser, 1978), 90. 26. P. D. Ouspensky, The Fourth Way (New York: Alfred A Knopf, 1969), 3. 28. P. D. Ouspensky, A New Model of the Universe (New York: Vintage Books, 1971), 5. 29. P. D. Ouspensky, The Psychology of Man's Possible Evolution (New York: Vintage Books, 1974), 13. 31. Ouspensky, The Fourth Way, 151.